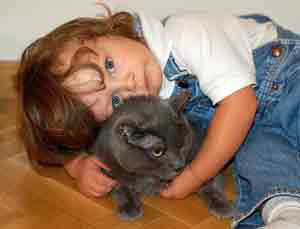 Children and cats can and do get along even though I often come across people who think that they don't. In fact some people think that it is better not to own a cat especially if there are young children in the home, mainly because they fear for the safety of the children. On the other hand people have said to me that they fear for the cats safety too, being pulled around by young children etc. However whenever I ask them what their specific worries are most of there reasons are based on myth and hearsay. Luckily for me my family never had such worries and I was brought up in a family environment that always contained at least one cat and that has continued to day with my sister's family. From my point of view one reason I think owning a cat rather than a dog when there are small children around, simply stems from the fact that due to their size, cats are far less likely to get too boisterous and start knocking children over. My own sister has come to realise that herself after getting a puppy Labrador at the same time as having a two year old running around the house. I can't tell you how many times my niece has been knocked to the floor or jumped on, often resulting in some injury. However their cat has never caused any harm, well apart from the occasional hiss and warning swipe, neither or which did any harm. Owning a cat is also good for the development of a childs understanding of empathy and care. It gives children the ability to learn that they have to be gentle with other living things and what care is required to look after them. It also helps children to build relationships with other living things, which will help them when they go out into the wider world. 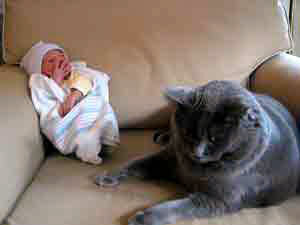 There are many old wives tales about cats and babies, such as cats smothering newborn babies due to jealousy. This is of course completely untrue and probably stems from the fact that a cat will be curious about the new arrival themselves and will want to go and investigate by getting into the crib for a good smell. Although there is no danger from the cat doing this is it still advisable with a newly born not to allow the cat into the crib, simply because of basic hygiene. A new baby arriving in the home will be a stressful time for your cat. After all they suddenly won't be the main focus of attention any more and it is all too easy to neglect your cat, especially during the early days. The best way to avoid this is to start to introduce your cat to new baby things before the arrival of the baby to the home. This way the cat is more prepared for all these new smells and sights and will reduce the amount of stress when the baby does arrive. It is also important to try and continue your usual routine with your cat, allowing for play times etc. This will help to reduce any likelihood of behavioural issues such as inappropriate urination and clawing of furniture. Although children and cats is a good combination, the toddler is more of a challenge. Toddlers are prone to be quite boisterous in their play and have yet to understand how their actions can hurt or frighten the cat. 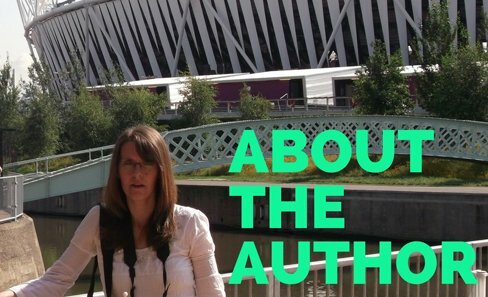 All they see is a furry plaything, which they want to squeeze tight and pull about. Luckily most cats will sense this danger and will make it their business to try and stay out of harms way. Teaching young children how to stroke and play with cats from an early age will make the whole children and cats relationship a far smoother one with less upsets on both sides. No pulling of tails, fur or ears. How to gently stroke the cat. Show them how to pick up the cat and to hold them securely. See my instructions for this on the bonding with your cat page. How to groom their fur with brushes. This is best done by using the brushes on the childs hair or arm and then get them to copy this on the cat. Many parents or pregnant women are concerned that they or their children will catch certain illnesses from their pet cats and it is often the main reason why many cats are rehomed once the children come along. However these worries are completely unfounded as long as normal every day hygiene and regular cat care is carried out. Children are just as likely to be exposed to certain illness in the wider environment as with living with a cat. Toxoplasmas - bacteria that can be found in cat faeces. Tteaching children not to go near litter trays, making sure that any faeces are cleared away regularly using gloves, and ensuring any areas of the garden that the cat uses as a litter tray is unavailable to the children, will eliminate this worry. Making sure that the cat is regularly wormed and vaccinated as well as treated for fleas will ensure that not only are you protecting the health of the cat but also any children and adults around too. A home with children and cats is generally a happy home and can be the start of a lifetime of companionship for both child and cat.